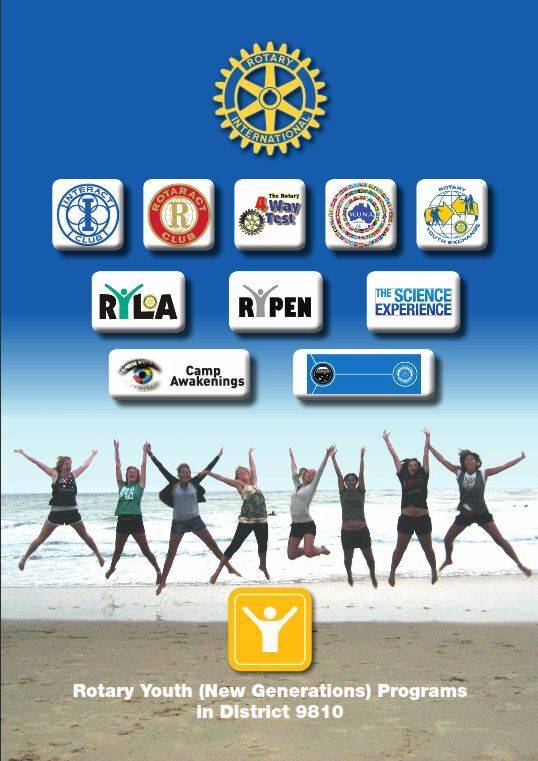 Youth Service embraces a wide range of Rotary programs for young people of various age groups. The aims of these programs include personal development, education, community service, competitions, international understanding and goodwill and travel through student exchange. To find out details of all the Youth Programs available from Rotary just click on on the underlined link above. Beaumaris Rotary supports the participation of local youth in various of these programs. You can find out more details in our Annual Reports and in our weekly newsletter In Gear. This 6-day program is an intensive leadership training course for community minded young people. Participants are chosen for their leadership skills and their potential to have an impact on their community. The participants discuss issues of professional responsibility, human relations, ethics, leadership and communication skills. The program incorporates a range of seminars and workshops as well as team and skill building activities. Eighty Year 10 students at Sandringham College were interviewed by Beaumaris Rotarians over two days. The aim of this project is to help the students gain skills to prepare for future employment. The National Youth Science Forum is a twelve day program for students moving into Year 12 who are thinking about a career in science, engineering and technology. The flagship event of the NYSF is the January Forum. Until recently this event had been held exclusively in Canberra and hosted by The Australian National University. In 2010 the NYSF introduced a third session, in Perth, co-hosted by the Curtin University of Technology and The University of Western Australia. Rotary has been in partnership with the program since 1984 along with the Australian Government, major industry, national research institutes and universities. The most important aspect coming from the NYSF is a network of friends, colleagues and support groups throughout Australia, which will be of value to participants for the whole of their lives. The NYSF continues after January with a series of University and Industry Seminars and afterwards as a network of people with common aims.